Business Name: One More Rep Inc.
DreamBodies Body Transformation Systems is an Elite Worldwide Online personal training program that incorporates fat-melting dietary protocols, goal-specific exercise regimens, unlimited coaching and mind-motivational conditioning. Founder Tony DiCostanzo is a Certified Professional Fitness trainer (NFPT-CPT) and Certified Sports Hypnotist (NESTA) who ensures that each and every client receives unparalleled individual attention. Holistic in nature and unique in service, DreamBodies caters to Bodybuilders, figure competitors and athletes of all genres. The holistic approach of goal-centered mind conditioning along with results-driven exercise and nutrition applications empowers clients with the direction and tools to achieve their peak condition and absolute best body. My name is Karoline Cerin and I am 45 years of age. I have been involved with weight training from the age of 21 and competing in Natural Figure as well as Fitness Model for the last 15 years. I have a total of 9 Winning Titles, including 2 Asia Pacific Titles. I was also awarded best poser / routine 5 times. In 2008, I was awarded a “World Pro Card” status in Figure, in recognition of my achievements to date. I am a Master Personal Trainer and specialize in Competition Preparation. I also have qualifications in Weight Management, Contest Preparation, Nutrition, Outdoor Training, Boxing Fit, Life Coaching, and Children's Fitness and Nutrition. Wanting is the Key to Achieving! – my motto. Please contact me or view my website or Facebook for further information to see how I can help you achieve your goals and desires! I became a first time competitor exactly 6 months after consulting a personal trainer. I took my little marshmallow body along to the consultation indicating that I would one day like to compete, was locked in the room and ordered to pick a date. I then found myself on the world stage within 7 months from this date. Since then, I have been hooked, gained the qualifications to become a PT myself and have just started up my own business. Although I have not competed since my first year/season, I have been using my time to change careers, research and inspire others. Come visit my site at www.voodoofitness.com to find out more. Lucas has been a highly sought after Trainer since 1997. 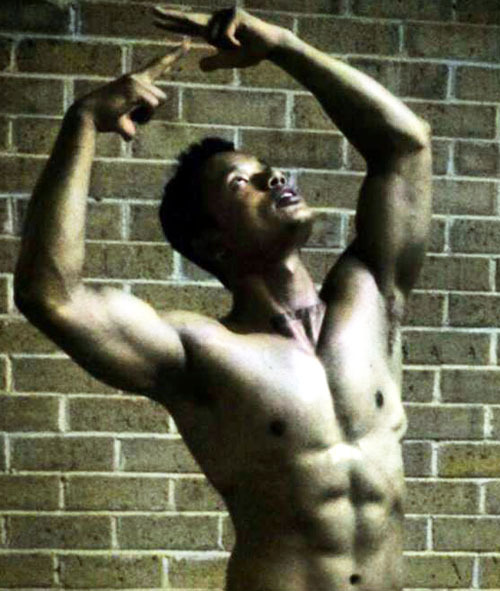 Being a student of martial arts since age 11 and a bodybuilding enthusiast since 15, he has studied acupuncture, herbal medicine, yoga, spinal therapy, eastern and western nutrition and of course bodybuilding. Lucas offers a holistic approach to looking and feeling great. Big great new gym available! Since having qualified as a Personal Trainer, my primary focus is on training clients with the view of showing them the correct way to exercise so that exercise become fun and enjoyable. I believe my strength lies in assisting clients to believe in themselves and to be able to inspire them to achieve their goals. Have an upcoming contest? Need the knowledge of how to get into awesome contest shape that will make you an instant success? Give Anthony a call and transform your physique, forever! Body make-over for all body types. 6 years boxing for fitness experience. 10 years resistance training experience. Come lose the old you and meet the new you! I have been bodybuilding since I was 16 years old and looking to help those interested in becoming TRUE BODYBUILIDNG CHAMPIONS. I hope to meet, train, and help out many athletes looking to maximize their Muscle Potential. I am ISSA and NASM Certified. I also do a variety of alternative therapy methods. No matter if your goal is to compete or lose weight and get fit for life, the practices you put in place are the same. As a qualified Personal Trainer, a Master Physique Trainer and title holding Figure competitor with the INBA, I can help you achieve those awesome heights of success. At Secrets to Fitness, it is our determined purpose to help you achieve your goals by providing all the “secrets” other programs don’t want you to know. We believe our bodies are temples of the Holy Spirit and we should keep it in great condition. You are worth it and your body will thank you! Secrets to Fitness wants to help you so you can become all you were meant to be! 20 years fitness experience in (1) Long Distance Running, (2) Martial Arts, (3) Strength Training, (4) Bodybuilding Competition and (5) Personal Training. NABBA Physique and Figure competitor. All aspects of female bodybuilding catered to. Personal Training and pole dancing for fitness. My partner Anthony Cerantonia and I, own the Surfcoast Resort Motel situated on the spectacular Great Ocean Road in Anglesea (Victoria, Australia). Our resort not only offers personal training sessions, but we also specialise in 3 and 5 day health retreats, where you will not only benefit from a high standard of personal training, but also boxing classes, yoga and spa treatments in our state of the art day-spa centre. I am a qualified Yoga teacher, Personal Trainer, Thump Boxing instructor, Swissball instructor, Masseur and most recently Master Physique Trainer and am passionate about helping people reach their full potential. I focus on total body fitness: strength, cardiovascular fitness, flexibility and nutrition. Through regular goal setting for you health and fitness and incorporating all aspects of total body fitness into your weekly routine you can feel and be the best that you can possibly be. Let me help motivate you and achieve those goals NOW. Lai Tattis-Brindell Cert lll & lV Fitness, 2007 QLD WFF Overall Figure Champion. Fabulous Figures provides a range of competition preparation services including nutritional planning, posing instruction, routine choreography, spray tanning and most importantly a genuine interest in supporting clients. 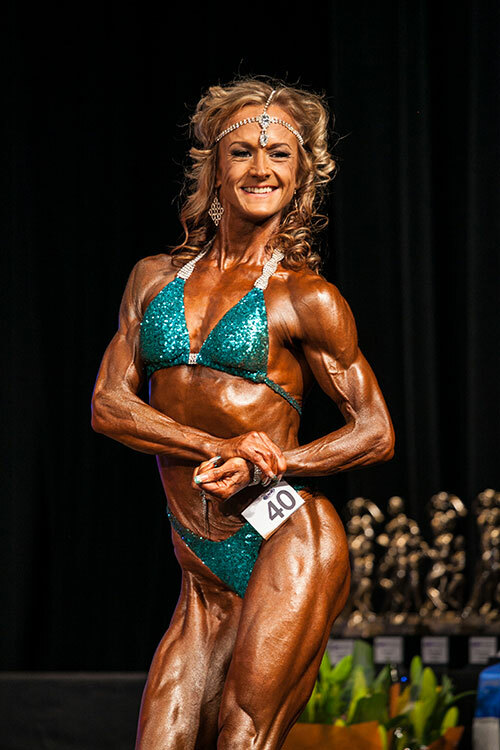 As an experienced and successful figure competitor, Dianna is able to relate to the ups and downs that occur during the comp prep journey. She prides herself on providing a genuine, supportive mentoring approach adapted to suit every individual. In a sport that can be extremely competitive, Dianna empowers her clients to focus on achieving “their own best”. Fabulous Figures is all about having fun and becoming the best you can be! Professional Personal Training by friendly and dedicated Trainer. Training for all goals; weight loss, fitness, sports conditioning, self defence, muscle/bodybuilding, old age fitness. Supafit Personal Training “Shaping your future”. Being a Trainer most of my career, involved in Military, Fire & Emergency services training, I found Bodybuilding is a sport/activity that is suitable for anybody and all ages. I only regret not having started this at a much earlier age, although age is no barrier. Anyone can do it! In addition to this certification, I am also a certified personal trainer, certified strength conditioning specialist, pilates system I instructor and have a Bachelor of Science degree in Human Nutrition & Food & Exercise Physiology. Body Conquest is an elite personal training service based in Geelong, aimed at the competitive athlete. I am a highly qualified and experienced trainer as I have been personal training for over 15 years. I am an international judge, author of “Go Figure” and have over 150 articles published in a variety of fitness magazines such as Ironman, Musclemag, Women’s Health & Fitness and Fighting Fat. If you are serious about getting up on stage then please contract Ingrid at Body Conqest. As a personal trainer and competitor, providing you with the training to help you look your greatest is imperative. Whether you want to shed a few kilos, or compete in a show, I can help you! My own personal success is my testimony. 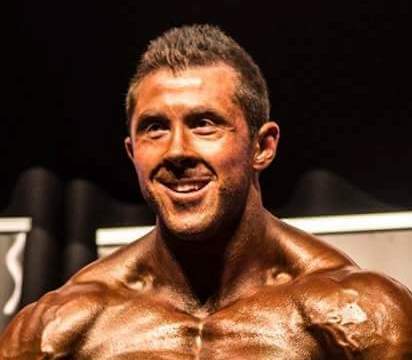 I have competed in over 10 shows, and have ranked very highly over the past 2 years within New Zealand. I definitely walk my talk, and look forward to many more years of competing! 2007 Ms Australia I am a qualified Personal Trainer and Gym Instructor and have been an INBA Competitor since 2002. My most successful comp experience to date, is winning the Ms Australia Title in the Women’s Overall Physique at the 2007 INBA Australian Titles. I have been weight training for approximately 20 years and have had a lifelong passion for health and fitness and hope I inspire others to do the same. I am a Vicfit accredited Personal Trainer and have been working for DJ's GYM for 3 years. I can't get enough of fitness research and study to further increase my knowledge in health and fitness. I am currently studying an Advanced Diploma in Nutritional Medicine to gain further knowledge in this field. I enjoy seeing the great results that our clients receive from changing their lifestyles through the healthy education we provide in nutrition and fitness. I discovered the world of bodybuilding after a 25 year career as one of Australia’s leading female DJ’s aka DJ JoSH. I began weight training in 2005 at City Gym S.A. which turned into a full time Admin coordinators position. This then lead to my first bodybuilding comp at the 2008 INBA in Adelaide, completing my certificate 3 in personal training and the IAPC bodybuilding course. If you live in the Adelaide area and are keen to get involved in the bodybuilding arena please call 0419 849 313. Wow is all I can say, this course is the bomb and takes the guess work out of it. The knowledge that I have gained I have put into practice and have just won the Australian Women’s Health & Fitness Magazine Body Transformation of the month. I can only get better – thanks to this course. I will be putting my knowledge into practice to transform other people’s lives. Ready to Transform your life today? Take the step right now to Transform your life…Lose weight, Gain weight, Tone Up, Body build, get fit, increase your fitness Or double your energy to do the things you have always wanted…We’ll work on your specific goals or help you achieve it all…! One Personal Training session a week may be all you need to achieve your goals. If you have trouble with motivation, a Transform Fitness Personal Trainer will get you there... That’s what we do! Your Personal Trainer will make sure you do those little bits you’d never do on your own, encourage and help you, time you and monitor you, answer all your questions, help you any time you call. So for a no obligation free consultation visit www.transformfitness.com.au or call 0433 658 466. Take the step and Transform your life today! TAPT is a proven and effective personal training solution that provides men and women a fitness program and nutrition system. Get in shape, build muscle, burn fat with your very own personal trainer. Passionate about drug free training and to help the community to educate them in a doping free environment. Benjamin Siong is one of Melbourne’s premier personal trainers, and the Head strength coach and Founder of Australian Strength Performance – a company focused on empowering athletes to overcome the impossibilities set by their mind, body and sport. With over 12 years experience in athletic development, sports psychology, and physique conditioning, Ben has worked with the likes of champion national and state athletes, bodybuilders and fitness models. However it is his expertise in creating remarkable physiques in record time that has earned him the signature title of Body Composition Specialist. Ben is also a fitness speaker and published author. He is currently based within Fitness First in the Melbourne CBD, and can be contacted on 0404 108 440. I’ve been a personal trainer for 4 years and am registered with Fitness Australia. I train clients at Muscle & Fitness in Hyde Park, Townsville and I run circuit/bootcamp classes throughout the year at various locations. I decided to give bodybuilding a go in 2009. In one year I placed 3rd Novice QLD, 2nd Intermediate QLD, 3rd Open Men and competed internationally in the Natural Olympia. Bodybuilding is striving to be the best you can mentally and physically. Let me help you through that journey. Hi, I’m Natalie a fitness instructor in Herefordshire, England working within the fitness industry for a decade, with my specialist interest being weight training and nutrition. I have competed in ‘Bodyfitness’ competitions across the U.K, and plan to compete internationally within the next 2 years. My experience of competing in a figure competition was one of my main driving factors for becoming a Personal Trainer. It made me realise I can do anything and I wanted to help people change their lives and experience the same satisfaction I did after my competition by helping them achieve their ultimate goals. I strive to educate clients and eliminate fear people may have of weight training. The majority of my experience is weight loss, however my passion is bodybuilding. I look forward to training more clients towards a figure/bodybuilding competition! I am a qualified fitness instructor and work mainly with people whose main objective is to lose weight and have a healthier lifestyle. I work with all ages but have particular knowledge in older people. I was involved in fitness, bodybuilding, martial arts for many years. Bodybuilding is my passion. I have been to about 12 Mr & Ms Olympia contests and am wanting to prepare a Mr Olympia from Barbados. Christopher Penfold I think it is very important to practice what you preach. Health and fitness is not only my specialty, it’s my passion. I live and breathe it everyday and I know first hand the best ways to increase/develop muscle, enhance metabolism/metabolic rate and achieve desired percentage of body fat. No goal is impossible. Live and feel the way you deserve to. Believe. Adapt. Achieve! Excel beyond expectations! Business Name: Body Come Back! I Choose Awesome is a way of life. Its about leading a life that’s full of opportunity, health and a richness that can only come through having control over ones thoughts and actions. It's a belief that in any situation we as human beings have the ability to choose awesome. Bodybuilding is as mentally challenging as it is physically and having the right mindset can take you from being an average competitor to being an awesome competitor and a better person in the process. With a little bit of hard work, dedication and inspiration for motivation we can get you to where you need to be. Why settle for less, go for Gold, we’re the best!! I am a Sports Nutritionist and founder of ‘Unique Nutrition’. I have developed a weight loss manual that makes nutrition easy and they will get results. Unique Nutrition is the smarter way to eat! I found the material in the course interesting and very useful. I am a Trainer and also a bodybuilding competitor who will use this information gained on a daily basis and will always have the notes as a useful guide for future endeavours. Thank you. Qualified certificate 4 Personal Trainer. Bodybuilder/Figure competitor. Triathlon coach and competitor. Competitive swimming coach. Advanced first aid. Group fitness instructor. Learn to swim instructor. Passionate about anything fitness and nutrition. Free consultation with me if you quote IAPC qualified trainer. Sydney Physique Masters Champion 2012. Personal Trainer. Kick boxing and Zumba instructor. Gary Hinton With Grand Designs Fitness you get a Trainer who goes the extra mile for his clients. Not only do you get fit, you get the knowledge to stay fit! 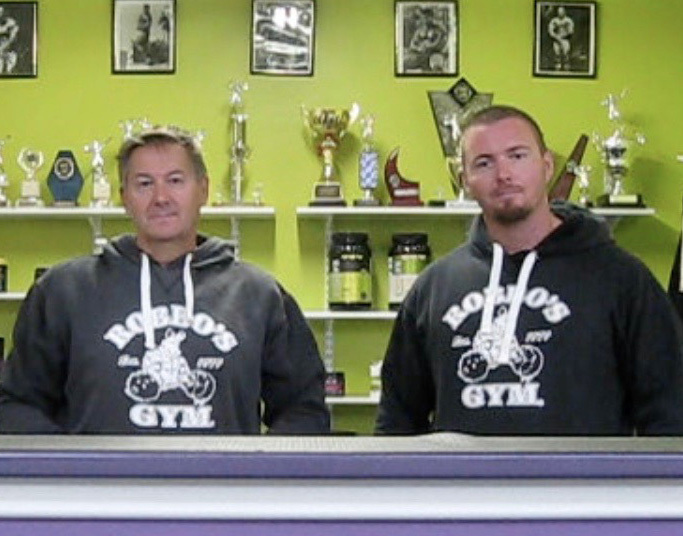 Business Name: Ronin Fitness D.F.W. Personal Name: Neil Edward Gallier Jr.
RCpt is based at Plus Fitness in Melville, Perth. Our team led by head trainer Richard Collins, has focused on transformations of the body mind and spirit, We believe that the key to any transformation is education. When you learn and understand what you are doing, you are more likely to succeed; this is what we pride ourselves on, through 1 on 1 Personal Training, Online Training as well as Small group seminars. I started my fitness journey 2 years ago. Iad, depressed and weighed over 105kgs; I had to make a change. I started eating well and exercising, and just fell in love; got my certificates in fitness and lost some 50kgs. Now compete in body building. I now specialize in mental well being, muscle gain, a weight loss and now compete preparation love, helping people with their journey.